Most citrus groves in Egypt are located the North of the African country. The true origin of the lemon is unknown. African countries which lemons are exported are Algeria, Egypt, Libya, Morocco and Tunisia; around 75% of the lemons grown are locally consumed. Egypt mainly sells to the Gulf, Russia and Europe. The Egyptian harvest is 2 months earlier than Spain and other Mediterranean countries. Citrus is the main fruit crop in Egypt. Most citrus groves in Egypt are located the North of the country producing the Egyptian, Eureka, Rough, Lisbon and Villafranca lemon variety while Eureka and Lisbon are the most widely cultivated lemon variety in South Africa. In large skillet, sauté garlic and onion in oil over a medium heat. Add greens and cook until just wilted. Remove from heat. Pour lemon juice over greens and season with salt and pepper. · Choose medium to large lemons that are heavy for their size. The heaviness signifies lots of juice. 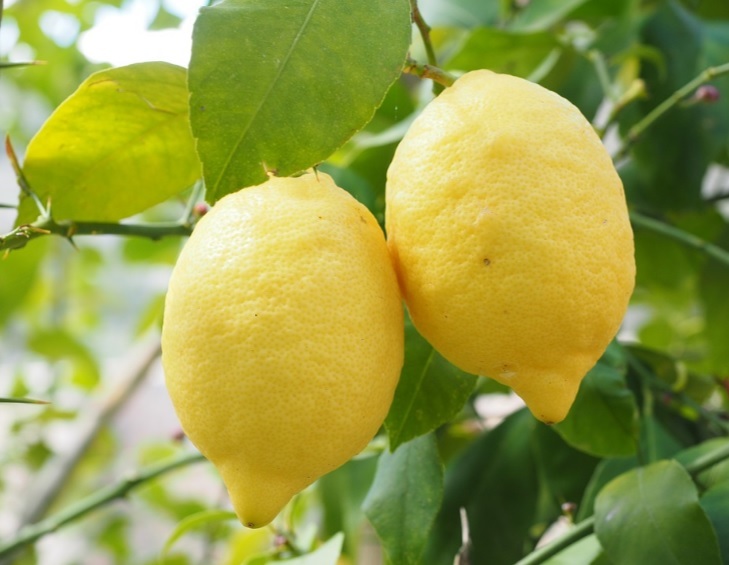 · Lemons should have a smooth firm surface. You can tell if the skin is smooth by touch but also it should look a little bit shiny. · Avoid lemons that are wrinkly, soft, have bumpy and/or hard skin. These are signs that the lemon is old and decomposing. · Lemons are grown in both dry and humid environments and tolerate infertile, poor soil. · Lemons are a good source of vitamin C, rich in minerals as calcium and potassium. · Lemons have a shelf life ranging between 2 and 20 weeks. · Lemons create one of nature's major sources of potassium. · Lemons are technically berries. · Lemon is an evergreen plant that belongs to the family Rutaceae. · Lemons are nature’s top source of citric acid, a life essential found in the cells of all living creatures. · Fresh squeezed lemon in a glass of water is said to cleanse the liver. · Lemons are also believed to stimulate the metabolism. · A halved lemon dipped in salt or baking powder can be used to brighten copper and silver cookware.